This was really good. 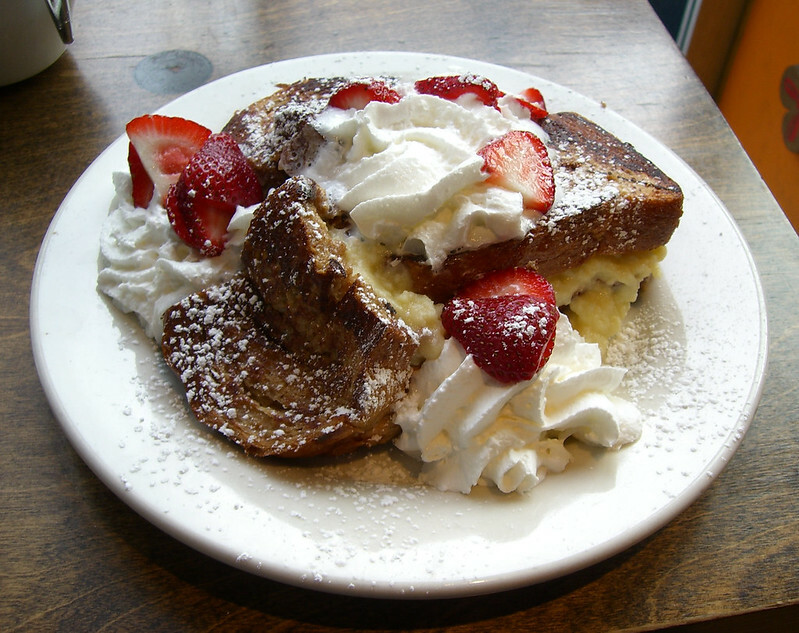 French toast stuffed with some kind of sweet ricotta-like cheese, strawberries, whipped cream, and powdered sugar. They gave me a bottle of syrup too, but I think that would have been overkill. Image published by Kim Scarborough on 2007-05-06 01:09:38 and used under Creative Commons license.